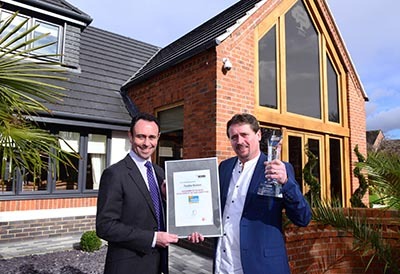 Paradise Windows has been announced as the winner of the 2016 REHAU Installation of the Year Award for its work on a stunning modern detached property in Nottingham. 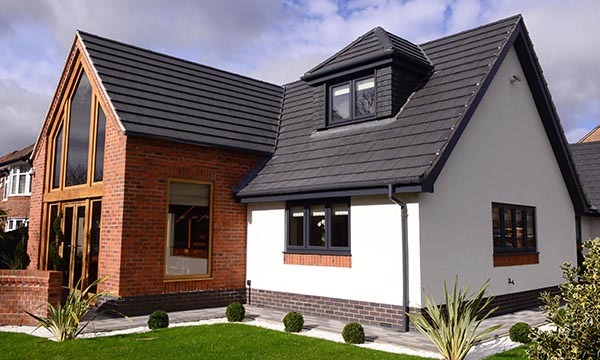 Paradise Windows’ winning entry was an Anthracite Grey installation, with a glazed Irish Oak double height gable entrance. The installation included nine windows and five sets of double doors, all from the REHAUTOTAL70 system, which were manufactured in Paradise Windows’ own factory. The customer was extremely happy with the installation and the workmanship that went into it. 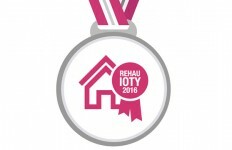 The 2016 REHAU Installation of the Year competition attracted hundreds of entries from installers across the country, keen to show off their creativity and outstanding craftsmanship. 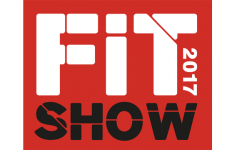 Six finalists were shortlisted for the 2016 award and their details uploaded to the REHAU website, where the public voted for their favourite. 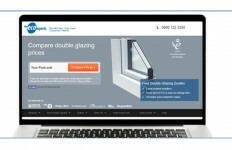 For further information visit www.rehau.uk/competition.